Cusco and the Sacred Valley might be one of the most touristic areas of Peru, but there are still plenty of options authentic options that will make your experience more local and personal. We try and take you to places that most tourists won’t visit and allow you to see this region through the eyes of the local indigenous people. Discover the Incan caves, the sacred ruins of Urco and enjoy a unique experience full of breathtaking landscapes and historic sites, all time seeing the region through a local and indigenous perspective. 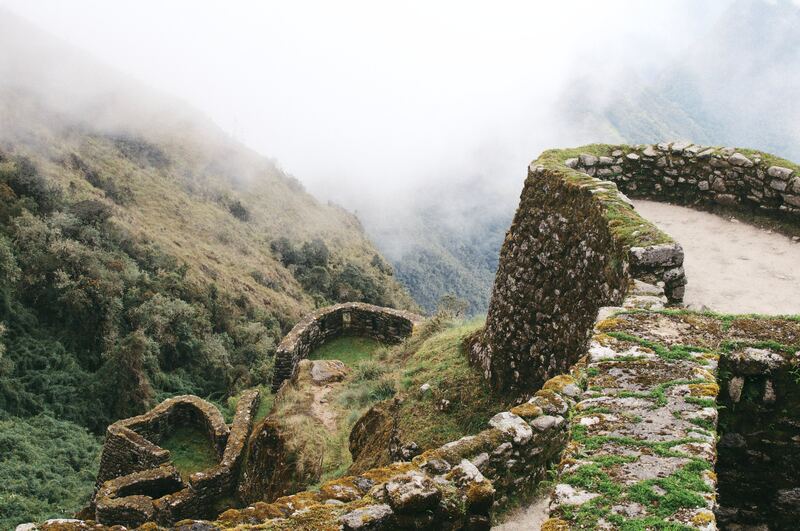 Visit the Incan caves, the sacred ruins of Urco and waterfalls with the guidance of a local who is eager and willing to show you their region in a kind and respectful way. Support their livelihood and cooking ‘Andean style’. This experience is about cultural interchange, breaking barriers and connection. • Pick up and drop off from your hotel in the Sacred Valley (or a 50 DLS surcharge for pick-up in Cusco). • Light breakfast Andean style in the “Market of Small Producers”. • Visit to the Sacred Ruins of Urco with its myths and legends. • Small hike up to the stunning waterfalls of the community of Arin. • Visit of a “Chicheria” where we will try an ancestral Andean beverage. 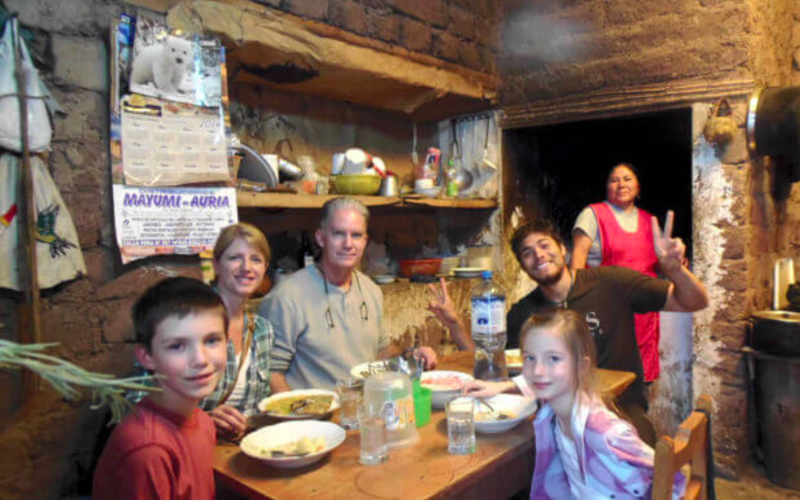 • Freshly cooked lunch made with local ingredients in the home of an Andean family where you can learn much about their lifestyle. • Visit to the Incan Caves, a mythical ceremonial site where we can find incredible stone carvings. Your guide will pick you up at 8:30am and your first stop will lead you to the sacred ruins of Urco, where you’ll learn the myths and legends around them. You’ll then venture on to do a short hike to the beautiful waterfalls of the community of Arin. You’ll get the chance to get in touch with local people, hear their stories and knowledge about the region and its specialities. You’ll be invited to try an ancestral Andean beverage in a ‘Chicheria’ and enjoy a delicious lunch made with seasonal ingredients in a home of an Andean family, where you’ll get to see first hand what their life is like and learn about their customs and traditions. Together with your guide you’ll visit to the Incan caves, a mythical ceremonial site. We offer responsible and respectful personal interaction with locals, participation in traditional customs and handiwork, and the consumption of healthy, home-cooked meals prepared in ceramic, wood-burning stoves using only locally grown and/or locally caught ingredients. The Sacred Valley and Cusco tours aim to foster pride in local traditions and letting the native teach the traveler their knowledge that has been passed down through countless generations.